I specialize in individual and couples psychotherapy, springing from the work of C. G. Jung. This method values your capacity to discover, with my help, previously unknown capacities, and strengths, that can be brought to bear on your well-being. I may ask you for dreams because they offer hints of inner strengths and potential that can be woven into a more complete understanding of how your life has unfolded so far, along with creative ways forward into the future. My individual practice, “Psychotherapy with Depth”, is based on the life and work of psychologist C. G. Jung. His psychology gives us a valuable “depth” perspective on our personal lives and on the world we live in. While acknowledging the importance of gaining some control and autonomy over our personal lives and difficulties, a depth perspective also helps us understand our place in the greater scheme of things. Our lives tend to be richer and more fulfilling when both aspects are addressed together. For Jung, dreams are the most readily available vehicle for this kind of depth psychotherapeutic work. 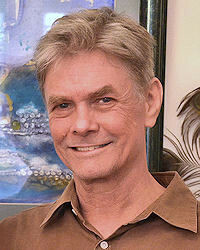 I have worked in the field of psychotherapy since 1983 when I gained a license in Marriage Family Therapy in California. I was a clinical member of CAPA NSW (2009-2014). I have undergone 10 years of personal Jungian Analysis and so my work as a psychotherapist draws from the psychology of C. G. Jung. I also specialise in working with dreams, nightmares, recurrent dreams, sleep paralysis as well as anxiety, depression, stress, relationship difficulties, etc. What led you to choose psychotherapy or counselling as a profession? The first indication of my vocation as therapist that I remember occurred in my classroom as a beginning teacher. Other teachers complained loudly about the level of chaos and noise in my classes. I was cautioned and warned, re-trained, and coerced. And it continued! I also wondered why I could not control the class. Then I realized. I was in fact interested in what was going on, more than I wanted to control the chaos. This interest in others and in the unusual or uncontrollable aspects of life has continued to this day. The second hint came when I was about twenty-five and very depressed. I had no language to express the extent of my unhappiness. An older man came up to me one day and "read" my depression very accurately. I felt seen for the first time in my life! He was quite right! I followed this man into his training program for the next five years, uncovering the dynamics in my family that contributed to my low sense of self-worth. Which philosophical approaches have influenced your professional/personal development? Most of what I know about our human existence has first been taught to me through my own dreams, amplified by some teachers and mentors throughout my life. This access to dreams and their wisdom places me in several philosophical streams stretching back thousands of years. They have in common the wisdom of an invisible “background” reality that shapes and determines our lives and the world in which we are embedded. In order to understand what is going on in our ordinary lives, therefore, we can benefit by “consulting” this background from time to time, via the agency of dreams or other avenues that can be expressive of that background reality, e.g. unusual occurrences, illnesses, “impossible” conflicts, “awakenings”, etc. Which particular aspects of health or the human journey are you interested in? I have been trained in the profession of psychotherapy, with its emphasis on helping others when they are suffering during the course of their ordinary lives. I have also been trained in depth psychology which emphasises where we each fit in a bigger scheme of things. Both aspects of the human journey are important. At times we need to “get back control” of our personal lives and at other times we need to understand our place in the world, so that we can let go of what we cannot control and learn how to gain some acceptance for the complexity and vastness of life. What method/s do you use? In helping people gain some control over their personal lives, I bring thirty years of training and experience in a large variety of therapeutic methods, all designed to support the ego. For those who are seeking some depth to their ordinary lives, I have had twenty-five years experience with Jungian psychology (depth psychology) which is a method that can initiate us into the more unknown, “background” aspects of human existence, a journey that enriches the human soul. When do you think the client will start to feel that progress is being made? Many feel progress is being made when they have gained some measure of control back in their personal lives. Others feel encouraged when their horizons have been broadened, i.e., when “stuck’ or limited perspectives have been loosened and/or enriched by alternative points of view. Still others feel that our work is therapeutic when their inner dignity as a self has been witnessed and loved. Still others feel released into life when their inner potential has been mentored by me and they have been given some tools with which they can begin to actualize that potential. How has therapy made you a better person? Therapy can be a job, a career that one can do, and come home from, like any other job. It can also be a Way! My work as a therapist is simply one aspect of my path in this life. Everything I do in as a therapist is in accord with how I live my life. I don’t feel there is much of a difference between how I work professionally these days and how I live my life in general. I am just as keen to hear someone’s experiences at a party as I am in the therapy room. I am just as interested in the unknown when a client presents a difficulty I have not heard of before, as I am when I encounter a difficult situation in my own life. The absolute value I give to the selfhood of the other is now a constant in my life in therapy and elsewhere. What do you like most about being a therapist? Sharing those moments when others open up to their own depths or when I get a hint of the unique qualities of the individual who is sharing some small aspect of his/her life with me. People are very mysterious and become more so as we get to know each other. Do you ever have 'bad hair' days? There are on occasion, clients who, for their own healing, need to launch an attack on the therapist’s vulnerabilities which become clearly visible to that client. In effect they can seek to violate the sanctity of the therapist’s self, as they themselves were violated. These can lead to many “bad hair” sessions in which the therapist is psychologically attacked. How we handle this attack is of course a matter of training and ethics but if handled well can lead to profound healing for both client and therapist. What do you think is the most significant problem we face, in the world today? It is clear to me that the most pressing and significant problem within psychology that faces us today is the programmatic effort in most disciplines today to erase any knowledge of or even vocabulary about soul or the “hidden background” that determines our lives as psychological beings. Can you share the name of a book, film, song, event or work of art that inspires you? Film: "Wings of Desire"; Art: Picasso’s "Minotauromachy"; Literature: Charles Williams’ books. All these art forms address the hidden background (soul) of our lives.